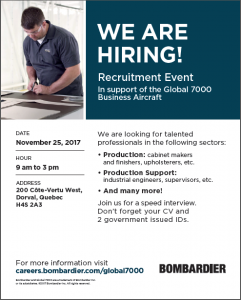 Bombardier Recruiting Event- November 25th! MACES is the student association that represents Continuing Studies students at McGill University. © 2017 MACES All rights reserved.